Pipe Major Iain Grant is the resident piper to some of Edinburgh’s best hotels – the world famous ‘Balmoral Hotel’ and the ‘Caledonian Hotel’ – both situated in the heart of the Scottish capital. Iain can also be seen officiating at weddings held in the ancient fortress of Edinburgh Castle, and comes highly recommended by Historic Scotland. 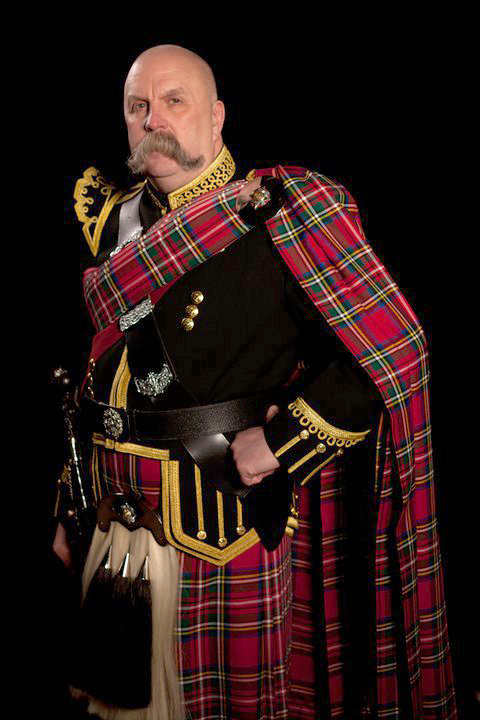 The Pipe Major can also be your own Toastmaster, in his own inimitable style. Iain has become a legendary character around the country where he does his ‘one man show’ explaining to visitors – our nation, the music, and also the history of the Highland people. Burns Suppers, Ceilidhs and Scottish Evenings are all part of his remit, not only in the City but all around the world. Wherever your service is to be held, whether it be Civil, Humanist or indeed a traditional ceremony, Iain can help and advise. 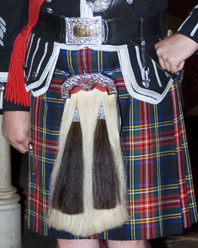 With over 37 years experience, Pipe Major Iain Grant can make your day, problem free.